"Customers don’t do what they say. Facts don’t care about your opinion. And it is possible to get customer data in 24 hours for very little cost." Pretotyping was an eye-opener for this member-based automotive organisation that offers a diverse range of automotive, financial and lifestyle products. During two workshops, including a three-week Rapid Experimentation Sprint, we tested close to 40 ideas using a range of Pretotyping techniques. The RACV’s Innovation team wanted to improve its idea and product development experimentation techniques. 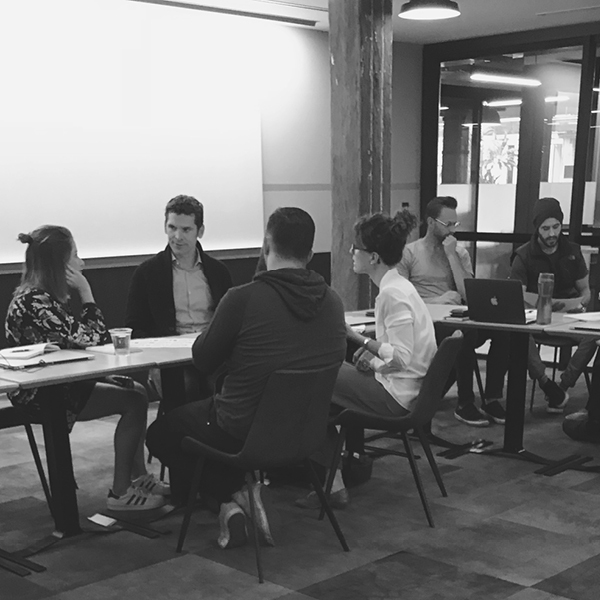 Following a two-day, cross-functional Pretotyping workshop, the team was looking to expand and refine its Pretotyping skills through extended hands-on testing experience. So the team also commissioned us to run a series of immersive Rapid Experimentation Sprints. Workshop participants were invited to test the one thing that, if it failed, they would stop tomorrow. Each experiment was given a $100 budget and a 24–hour deadline. We worked with participants to design appropriate tests using Pretotyping techniques – tests designed to collect data from real RACV customers. The RACV says it credits Pretotyping with “massively de-risking its product management and its development processes. The RACV’s Innovation team is now well equipped to work on refining the organisation’s innovation priorities and its product-development pipeline. “Pretotyping validates concepts quickly and cheaply, combining scientific method with low-cost digital marketing tools to measure customer behaviour and bust/confirm our assumptions”.